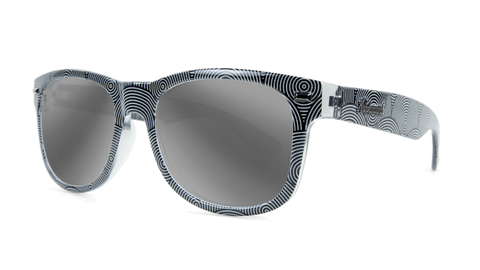 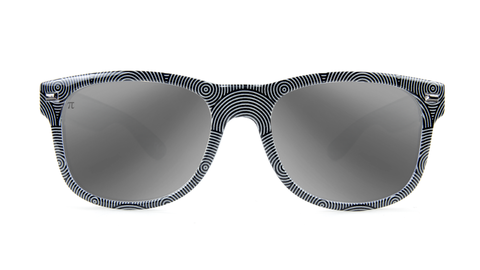 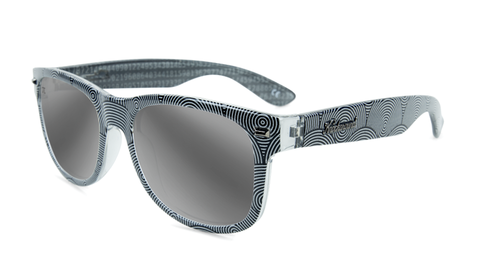 These Pi Fort Knocks feature a glossy black and white concentric circle exterior frame (so you can hypnotize a secret crush), a translucent transcendental “digits of pi” interior, silver hardware, and polarized silver smoke lenses with a π lens etch. 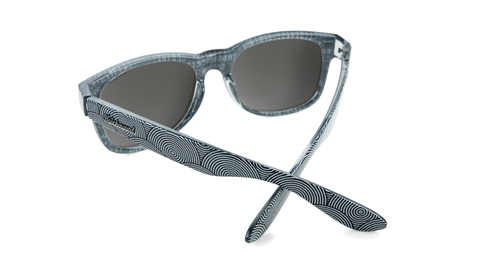 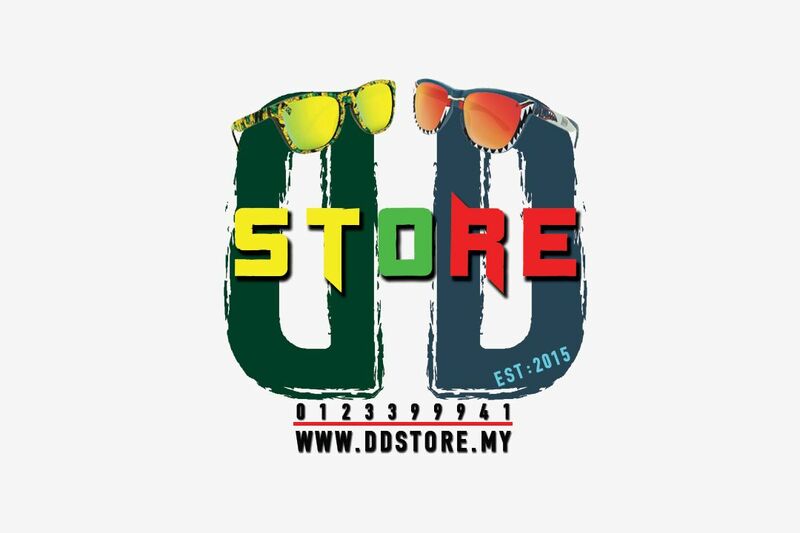 Designed on our durable and high quality frame, these sunglasses have a slightly wider fit than our other frame styles and provide full UV400 sun protection. 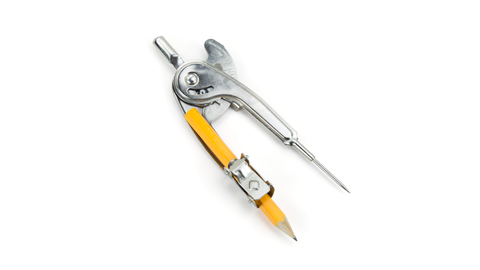 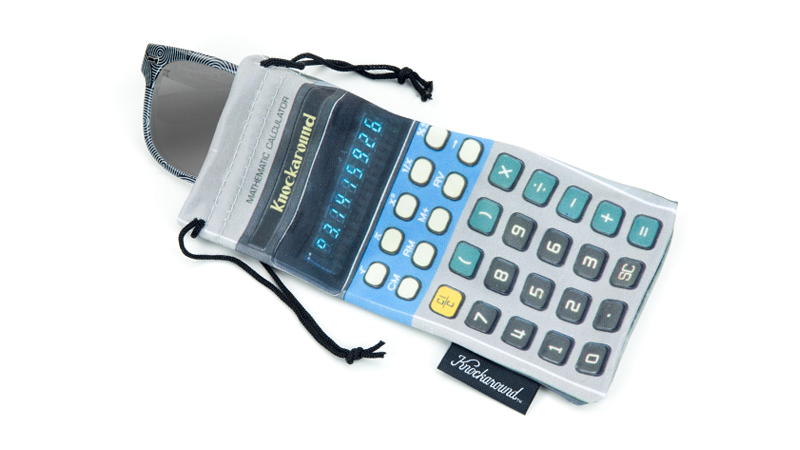 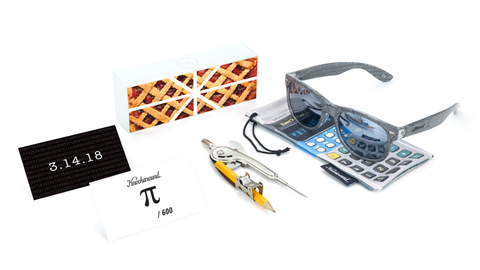 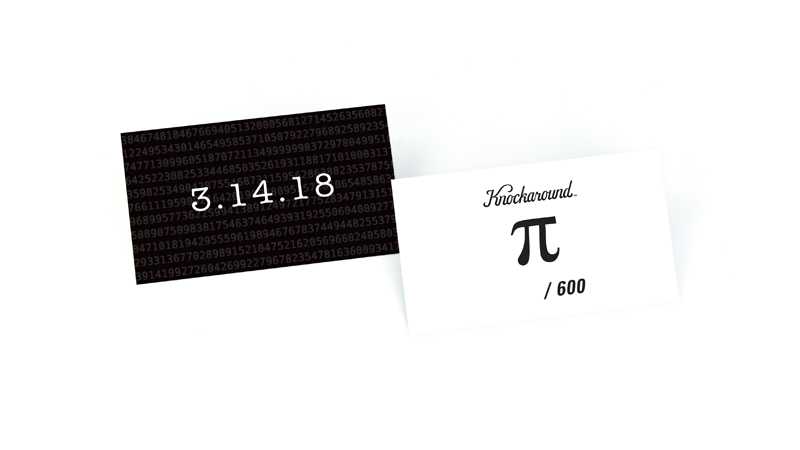 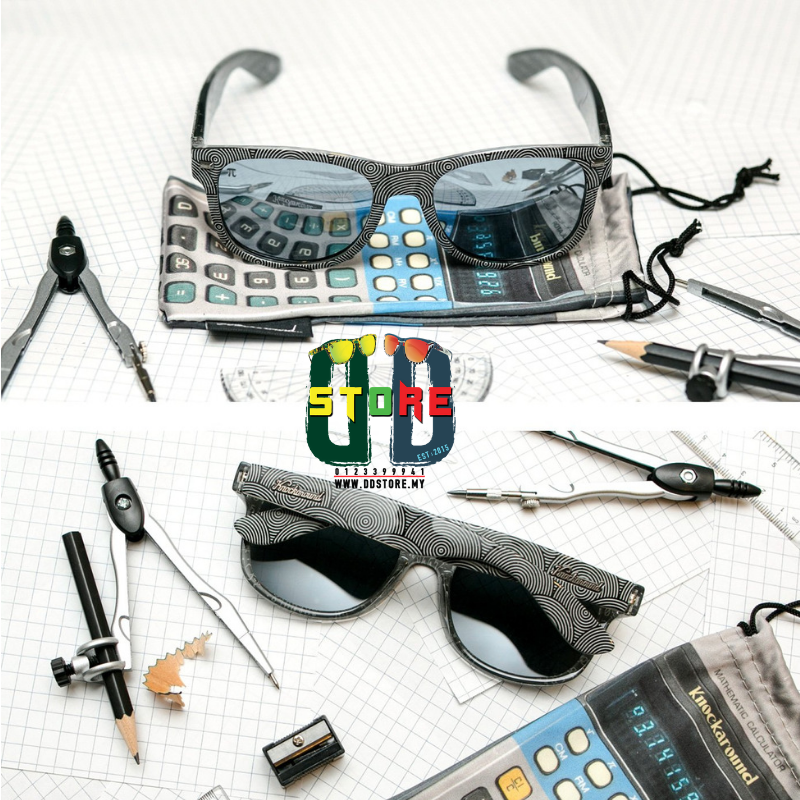 Every pair comes with a Casio-style electronic calculator microfiber pouch, a hand-numbered edition card, and a Charles Leonard CHL77360 bullseye metal compass so you can try solving the ancient challenge of squaring a circle with your compass and straightedge.